Resist and party in the streets of Bushwick for an awesome cause this weekend. Get ready to march, support and party with Bushwick's LGBTQIA community this Saturday. Make the Road New York's is celebrating it's 13th Bushwick Pride this Saturday. This weekend's event is dedicated to Marsha P Johnson and Sylvia Rivera, two trans activists of color who sparked the Stonewall Riots in 1969. The fiesta kicks off at noon on Grove Street and it'll include a march, awesome food and a block party with guest DJ Papi Juice. Photo courtesy of Make the Road NY Facebook announcement. Mateo Guerrero, an education coordinator with Make the Road New York said that like last year's event, this pride's theme is centered around how gentrification disproportionately affects queer people of color. "We want to highlight displacement because in New York City the shelters that are available are like really difficult to navigate," he said. Guerrero wants there to be more housing assistance and other types of support for trans, gender nonconforming, intersex and queer communities of color. He also emphasized that larger pride events that are sponsored by corporations and tend to cater to more whiter, more affluent queer communities.
" 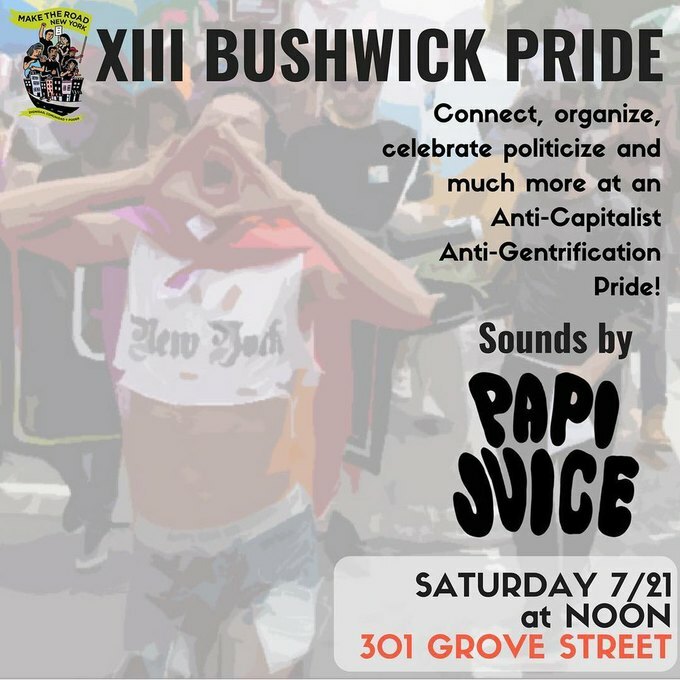 [Bushwick pride] is the type of pride where folks are connected to immigration services or health services or housing, things that like TGNCIQ actually need," he said. 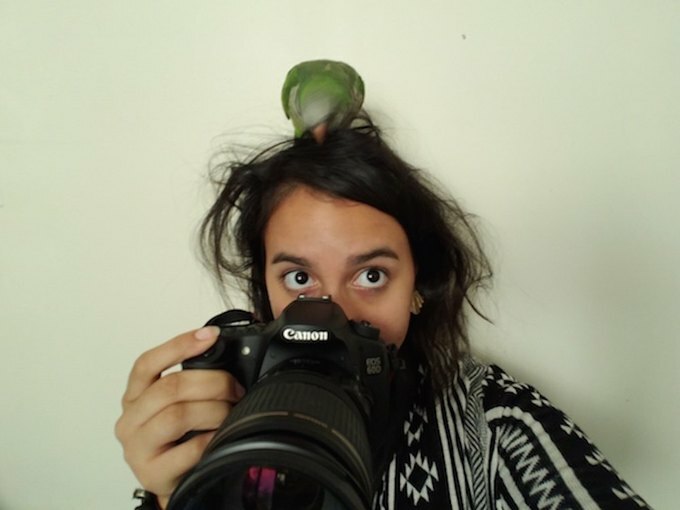 "This is more about being local." The event starts at 12 p.m. at Make the Road New York's office. RSVP here. 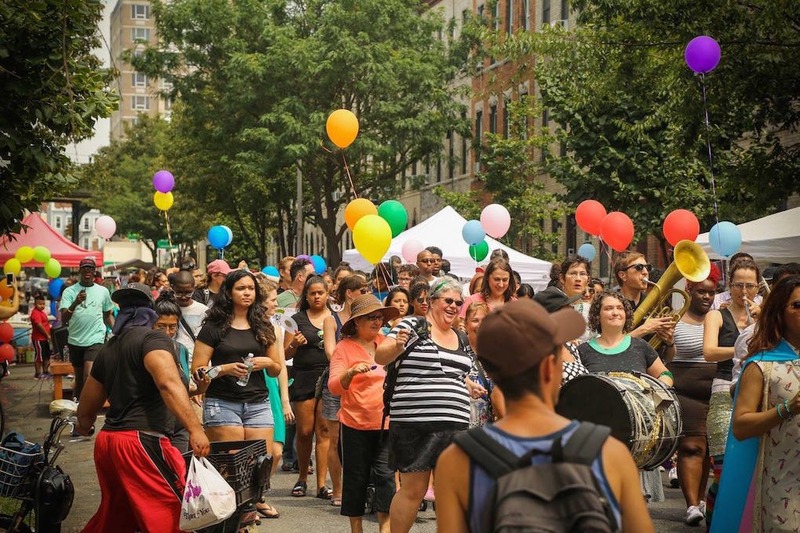 And check out photos from 2016's Bushwick Pride. Mon-Fri: 9:30 am - 7:30 pm. Closed on Saturday and Sunday. Follow Make the Road NY on Facebook, Instagram and Twitter.